Tell us why you think Basingstoke is a fantastic place to live, work and visit by using #LoveBasingstoke on Facebook, Twitter or Instagram. 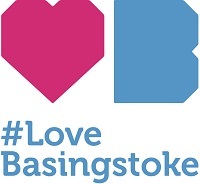 Please also follow our #LoveBasingstoke Facebook or Instagram pages for good news stories from around the borough, and wonderful pictures of our town and surrounding areas. Basingstoke. A place for everyone.